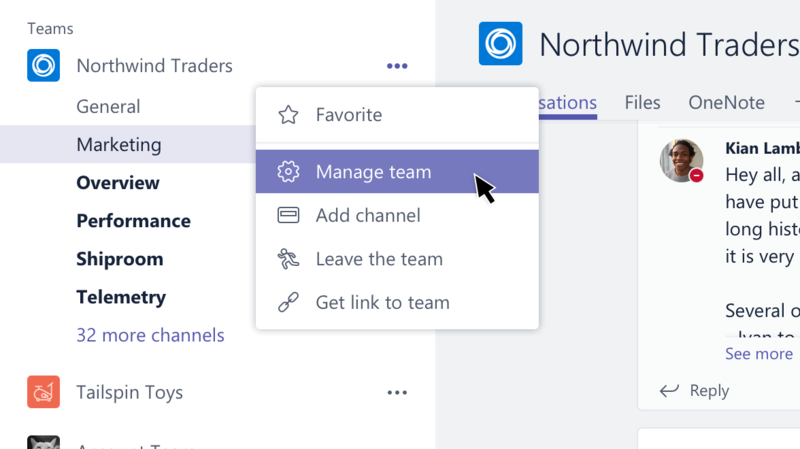 To see the member list for a team, go to the team name and click More options > Manage team. There's a list of members in the Members tab. Channels are open to the entire team. To see the member list for a team, tap Teams . Go to the team name and tap More options > View members.